This will be the last blog post for the year. What a year it has been! but today I'm showing a card made for Mum, since I think her birthday card is just as much 'fun' as all the New Year's cards out there! 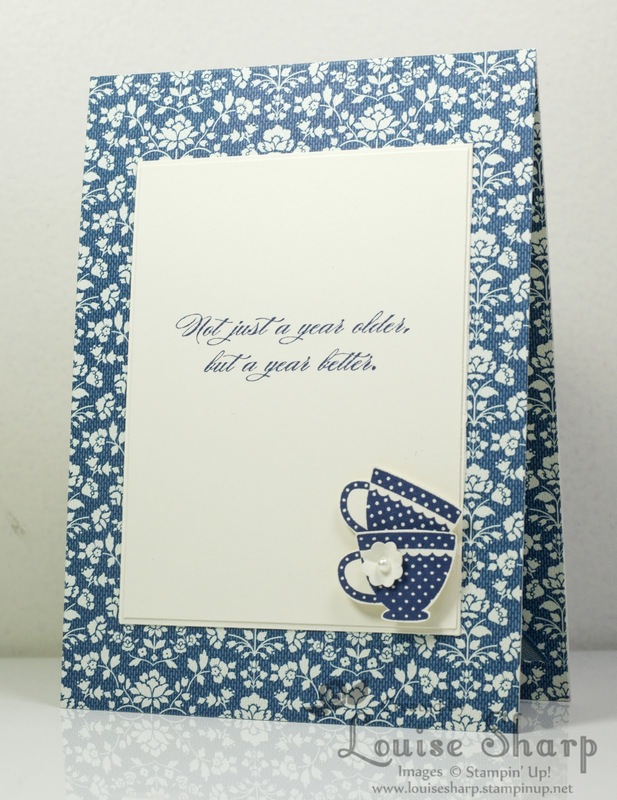 Ok, so maybe 'fun' might not be the word to describe this card, but when we go to our favourite little tea shop - 'The Berry Teapot Shop' on the NSW southcoast, we have lots of fun! 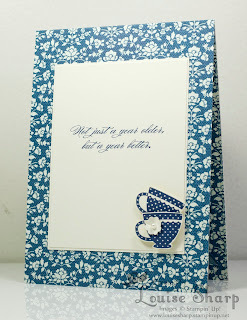 Sipping tea and enjoying delicious scones with jam and cream - sounds like lots of fun to me! Happy Birthday Mum - love you to moon and back. 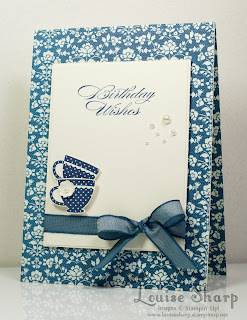 Happy New Year everyone, wishing you a fabulous Stampin' 2013! My Mum has blue and white china too. 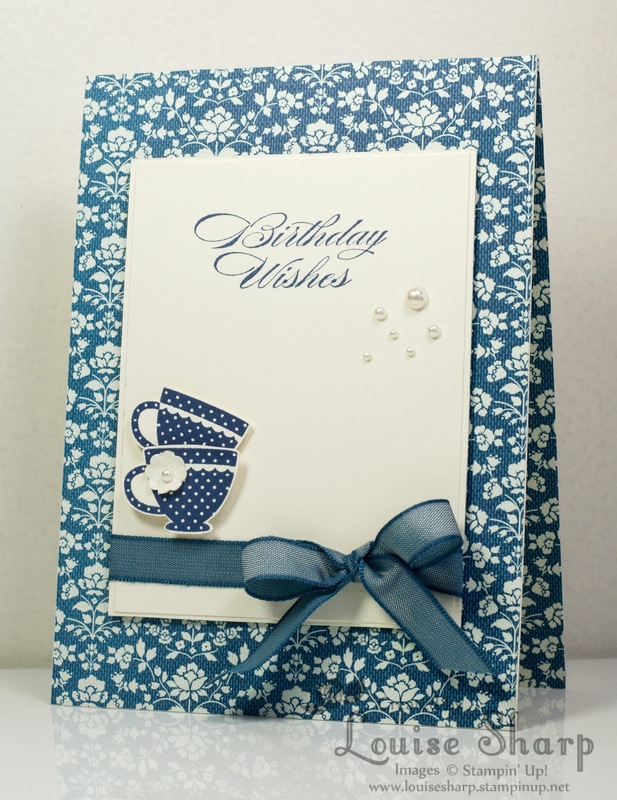 Tea and scones sounds lovely and so is your card. Those teacups are so cute.